This text uses a conceptual framework involving three types of claims (fact, value, policy) that are advanced by forms of reasoning (definition, example, cause, sign, etc.). This framework describes a wider variety of arguments. Conceptual framework- The authors use a conceptual framework involving three types of claims (fact, value, policy) that are advanced by forms of reasoning (definition, example, cause, sign, etc.). Discussion and use of the Toulmin model- Toulmin’s model is used systematically throughout the book to surface issues and clarify concepts. 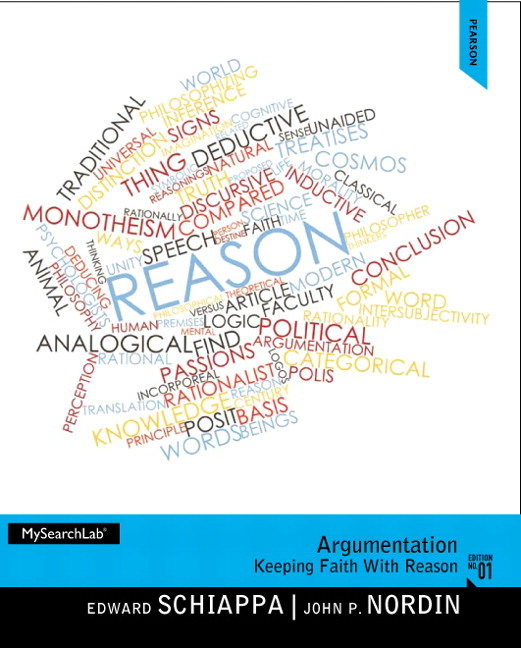 Chapter 1: Why Study Argument? Chapter 2: What Is An Argument? Can We Know What the Truth Is? What is Unique about Policy Claims?